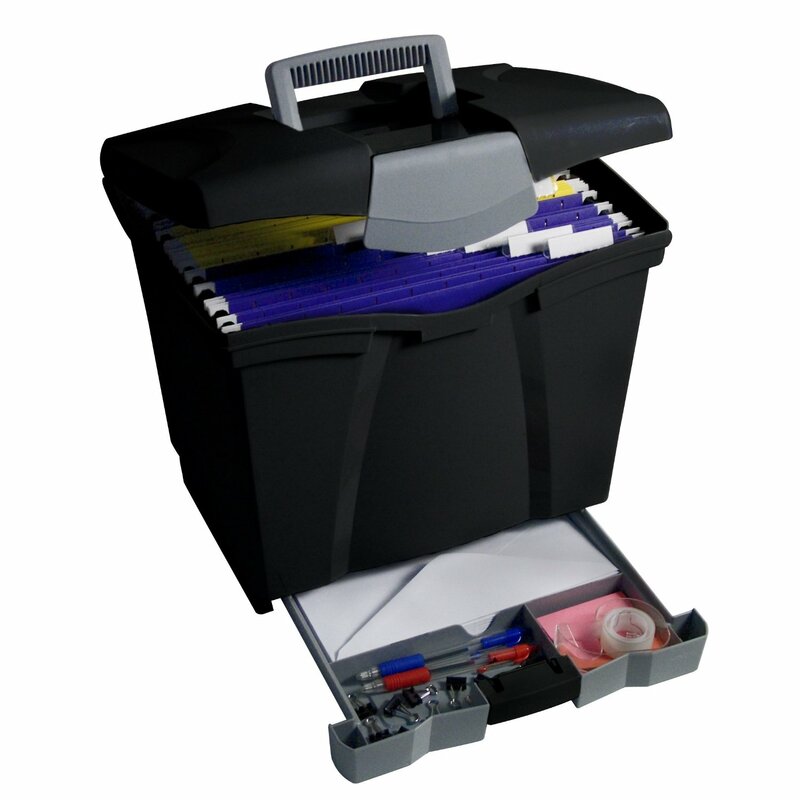 To maintain organization in the binder or accordion filer, an at-home filing system is vital. Students should get in the habit of filing old tests, relevant handouts and notes at the end of a unit in an at-home filer. 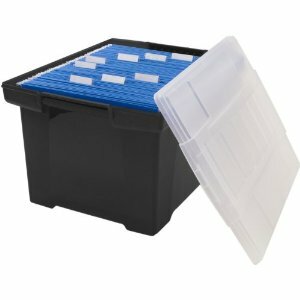 This could be a file cabinet or portable file box with hanging files for each subject & manilla folders labeled for each unit. Ultimately, it should be easy to access and kept in the area where a student does his/her work. 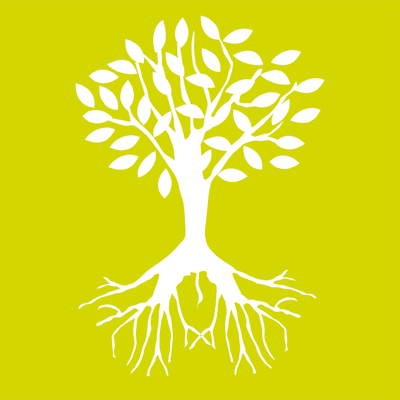 Reinforce the idea that the student is learning for the long-term, not just for the unit, and that learningis connected. Many students view learning as disposable and short-term; once the unit is over they are “never going to look at that material again,” so they see no point in holding onto the work. Teach self-reliance and give students greater ownership over their materials. For some students with major organizational issues where maintaining papers in a binder during the unit is a problem, the filer can be implemented during the course of a chapter or unit so that any homework or quizzes that must be retained are immediately filed on a semi-daily or weekly basis. This way, the student only maintains daily work and homework to submit in his or her binder. I have included some options below that many of my students use. 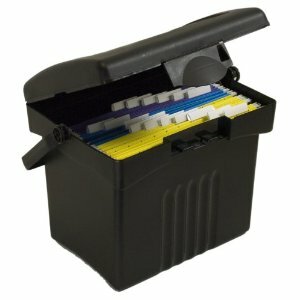 Some of these filers, as the one below shows, have top or bottom storage components for office supplies, which may or may not be necessary, unless the student plans to use the filer as a portable desk system as well. Filers can be set up multiple ways depending on use and need. Color coding hanging files for each subject. Organizing by quarter or trimester, so the filer would have 3 or 4 sections of individual subject files. Color coding filers for each quarter. Organizing filers by subject or by units within a subject. Most students will need help incorporating this system and maintaining it. Decide whether or not your student needs to be organizing his/her work on a semi-daily/weekly basis or if a unit by unit basis will work. Then make sure to monitor usage until the student is in the habit of managing the filer him/herself. Students who are accustomed to throwing work away after it is returned, during the course of a unit, or at the end of the unit, will need more assistance in thinking differently about their studies and the benefit of keeping work. These students may need the help of a parent or tutor to decide what work is worth keeping and may require a check-in on a semi-daily/weekly basis to make sure work is not being tossed or lost!